💥MY lightweight wall tapestries feature vivid colors and crisp lines, giving you an awesome, affordable centerpiece for any space. These aren’t just wall hangings either - use as a tablecloth, beach sarong, or picnic blanket! All items are custom made at the time of purchase, so please be sure you love what you are ordering. I cannot cancel or change orders - all sales are final when you submit your payment and no refunds will be given. Thank you for understanding the limitations of small artisan businesses like mine. 🏡 100% lightweight polyester microfiber with hand-sewn finishes. No grommets. 📏 4 sizes: 26" x 36" , 51" x 60" , 68" x 80" , 88" x 104"
🏡 Spun Poly material w/ Water resistant & UV resistant treatment. 📏 3 Sizes: 26" x 36" , 50" x 59" , 59" x 80"
☆☆☆☆☆ - Great Quality, Fast Shipping and my FAVORITE Tapestry!!!! ☆☆☆☆☆ - I've been a little hesitant buying wall tapestries, because I can never find one I like enough to buy. But the wall over my bed was looking a little plain, so I took the jump to buy one; It's perfect! It matches the colors of my bed sheet and duvet cover even better than I was hoping it would! I have to give the artist my thanks, the picture is amazing. 🚩 My monitor is regularly calibrated for color consistency. Not all monitors are the same. Colors of final print may vary slightly from those seen on the screen. This service applies to PHOTOGRAPHIC PRINTS ONLY. Your print placed in a chocolate boutique folio W/ coffee colored ribbon 16x24 and smaller only. The fabric is nice and I love the statement. I've bought one for me and 2 friends. Love it. The photos arrived quickly and are beautiful!! Very different script from the usual t-shirts with fun sayings - love the song reference - had to play the song for my 18-year old daughter! Customers should take the VERY SLIM fit advice seriously. I'd say to go up 2 sizes in ladies sizes. Beautiful colors, the softest lamb-like fleecy texture on the reverse - much more special than a plain piece of fleece with a printed image. Love it! I accept PayPal and Direct CC payments. Please note: It is not necessary for a buyer to have a Paypal account to use Paypal as a payment method. You can use Paypal with a debit or credit card. All items are CUSTOM made at the time of purchase, so please be sure you ❤ love what you are ordering. This includes prints. 🙏Thank you for understanding the limitations of a small artisan businesses like mine. Contact me within 7 days of receipt and I will gladly accept returns of items damaged in shipping. The replacement item will be shipped promptly, please save all packaging it will be needed to file a postal claim. I cannot accept returns on prints larger than 11x14 or ANY printed fabric or home decor item. At times I understand there are extenuating circumstances so please contact me if you have a problem. IF an exception is made for a return there will be a 25% restocking fee deducted from the refund. Shipping charges are exempt from refunds. Prints 11 x 14 and smaller may be returned with prior approval and will be subject to a 25% restocking fee. Package the item well and I recommend insuring it. I cannot offer a refund on items received with damage. 🚫 CANCELLATIONS: Every item is created on a custom basis. I will accept cancellations only within one hour 🕐 of order placement. 🚚 I take great care when shipping items and they should get to you in perfect condition. Photographs are mailed in protective archival sleeves inside photo specific mailers and for other items waterproof, tear-proof envelopes. If for any reason something were to arrive damaged, gasp(!) please contact me immediately and it will be replaced. 👀 Please note that computer screens 💻 differ and the color 🌈 of the items on the screen may not look exactly like what you receive. This is because different types of monitors are calibrated differently. Also, any prints with a "soft focus", film prints or photos with texture work were created that way deliberately, please keep that in mind when ordering. Orders are considered lost after six weeks have passed. 😍 As director of customer happiness.... I want you to be 100% satisfied with every purchase. If you have any problems please contact me, and I'll be happy to work with you to solve the issue on a case-by-case basis to ensure your complete satisfaction. However, Please keep in mind I am a solo artist who creates custom/per order work. I ship to your ETSY ADDRESS, not your Paypal address please use the feature on your Etsy account to change your shipping address if you are sending a gift. I will make an attempt to correct an address that is used in error by the customer but this is NOT GUARANTEED so please be careful when ordering. I would be so bummed and so will you if the item goes to the wrong address. Now the person at this wrong address...well... they are going to be a happy camper! All items are shipped as soon as possible from the time the order is placed. All items are custom made to order and take 3-14 business days to complete and be shipped, arriving at your door within 21 business days from date of order in the US and 3-6 weeks for International shipping. Time is dependent on your location. These are estimates and normally items arrive much sooner than this. If you need the item rushed simply contact me to discuss your needs before purchase. I ship from my local US post office insured and with tracking numbers. If however, you would rather use another shipping method please let me know in advance and I will invoice you for any additional charges. International Clients: I do not collect any customs when sending your packages. Any customs fees, taxes, tariffs, duties, etc. that may be incurred at the time of delivery would be at the discretion of your country's tax regulations. I have no way of calculating how much these fees would be, should they occur, and MScott-Photography is not responsible for those charges. For any additional information refer to your local customs agency. Returns will not be accepted due to customs fees. All items are insured and to file a claim for loss the required wait time is 20 days in the US and 40 days Internationally. BOGO offers: Shipping assumes both items are going to the same address. If that is not the case, message me, please. I welcome all custom requests. Please contact me and I will do my utmost to turn your idea into a reality. If you are working on a deadline please contact me and I will try to accommodate you. Wholesale orders welcomed. Minimum purchase order of 3 items per design. Art Prints only. Wholesale pricing at 50% of MSRP. Please no consignment requests. If you desire a size not listed, or a specific medium, please contact me for pricing. I will gladly accommodate whenever possible! I respond to all messages within 4 hours. Do You Offer Framed Prints? All of my prints are shipped unframed. Framing is an investment and one better made where you are able to view frame colors and materials in person. Also shipping framed art is expensive. If you frame locally you will get a much better price and exactly what you want. I accept returns on prints 11x14 and smaller. There will be a 20% restocking fee on these returns. The print must be packaged well and free of any damage. I suggest insuring it. Contact me for return address. 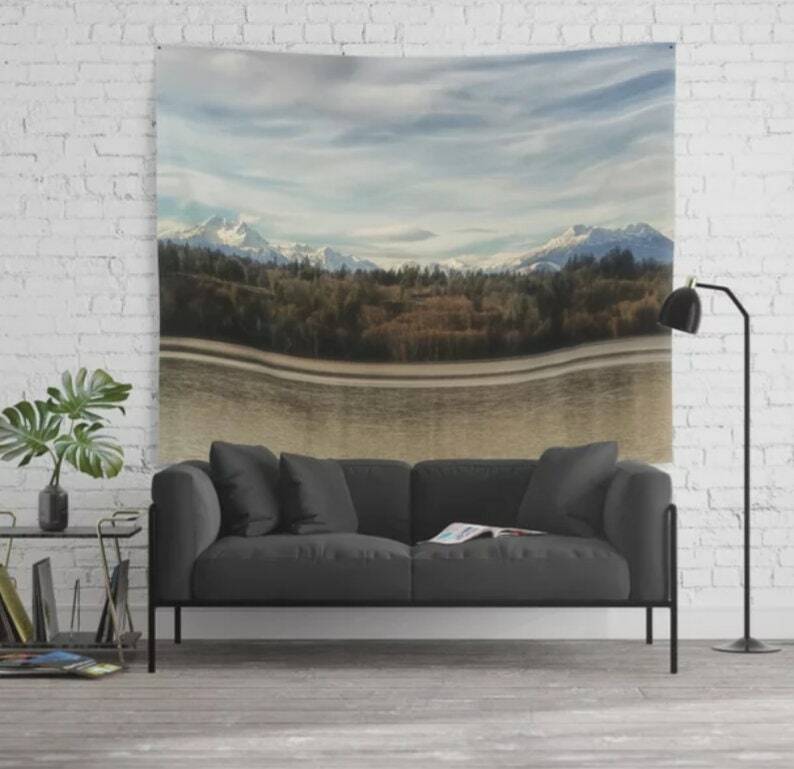 ALL fabric items such as clothing and home decor as well as canvas, wood and metal prints, and prints larger than 11x14; are printed on a custom basis and cannot be returned. Thank you for understanding the limitations of a small artisan business! Will You Print One Of My Photos? No I only print my own work. There are a few select listings for digital downloads you can print yourself. Simply search within my shop for "instant downloads"
If an image is not listed as an instant download then it is only for sale with a commercial contract. Do You Accept Wholesale Orders? Yes! Just e mail me.